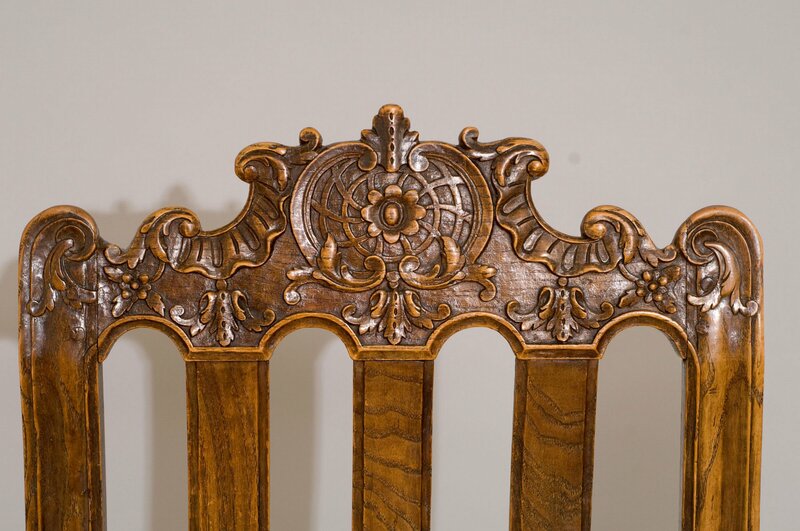 Description: A fine set of six Louis XIII style, hand-carved, oak chairs from Liege, Belgium. Beautiful curved splats are set off by the careful and delicate carving of the top rail. The legs are joined by x-shaped stretchers.